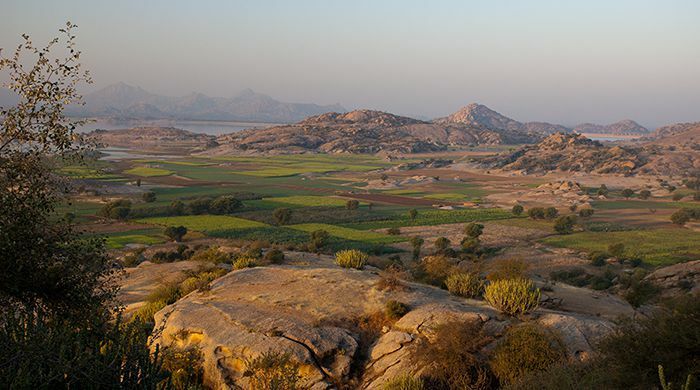 The Jawai Leopard Camp is a chic safari camp amongst the haunting beauty of the Jawai hills and lake near Udaipur, northern India. 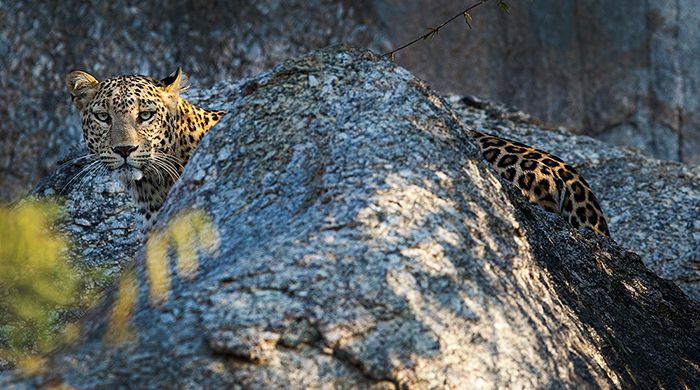 It's equidistant between Jodhpur and Udaipur, and one in three visitors see a leopard whilst staying here. 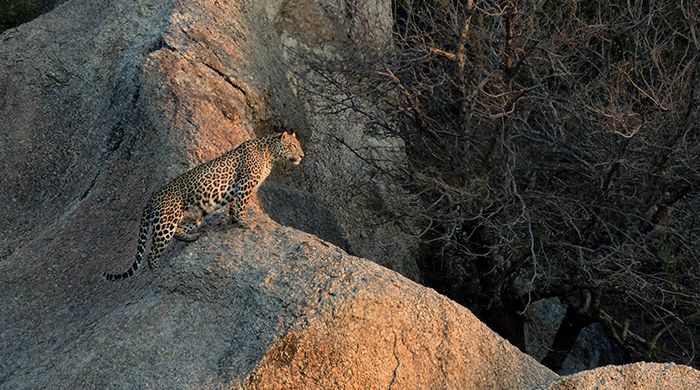 It's also the only tented camp that focuses on leopard viewing, as well as general game drives. 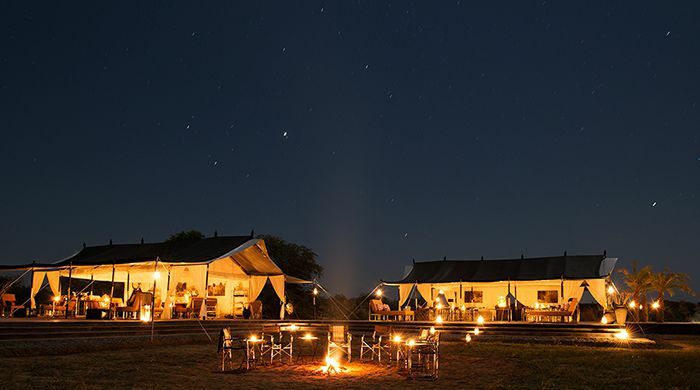 The camp is made to be a model of ecotourism and big cat conservation, and consists of ten individually crafted tents, which fan out at a discrete distance away from the central dining and chill-out areas. 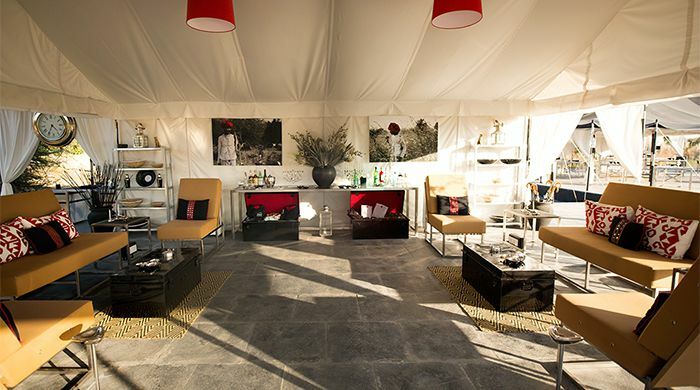 The Jawai Leopard Camp has ten luxurious tents, including one tented suite. Each has plenty of space and privacy. 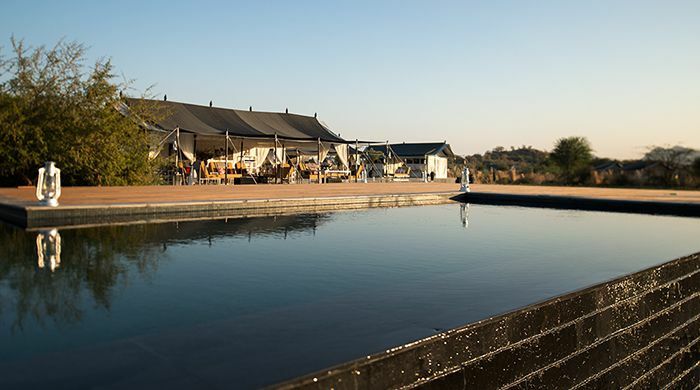 Tents are decorated with a timeless flourish, with stainless steel and leather accouterments, abutted by a private deck that looks upon unobstructed, spectacular views of the dramatic wilderness around. 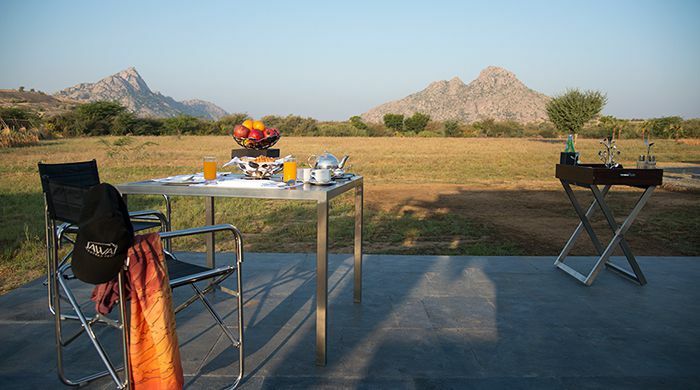 The use of local stone and stainless steel bring an understated elegance to the camp. 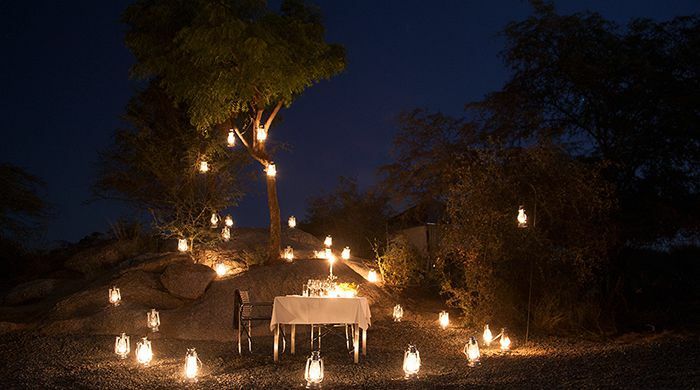 You have the option of enjoying a private dining experience, with picnics in the wild, luncheons by lakes, and dinners underneath constellations of an unending sky, and granite hills. 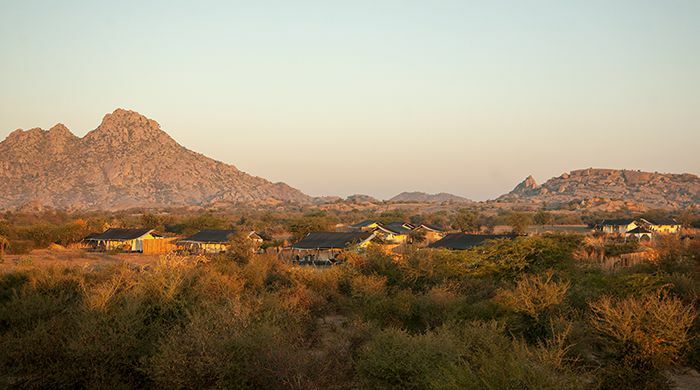 Meals are created using organically grown produce grown in the camp's own kitchen garden. 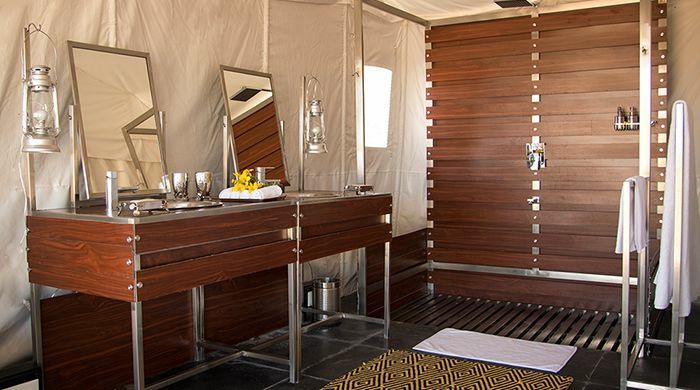 Facilities for health and beauty include a swimming pool, and in-room spa treatments. 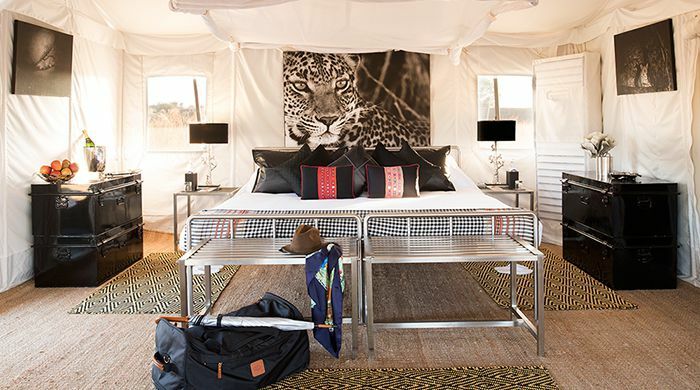 The camp also has exclusive safari vehicles with experienced field guide, there's also a chic boutique located within the camp. 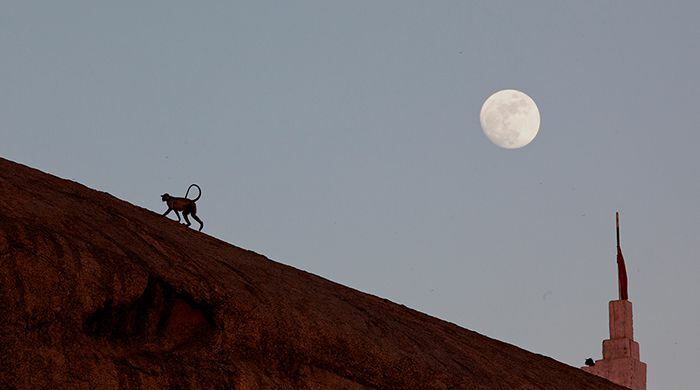 There are also day and afternoon game drives, and a kitchen at the heart of the camp where guests are encouraged to take part in informal cooking and baking classes, or browse the organic garden for fresh ingredients for their meal.